Power is supplied is by a lithium-ion battery composed of 48 compact modules and a high-response 80kW AC synchronous motor that generates 207 lb-ft of torque. Unlike an internal combustion engine, the e-NV200’s motor delivers 100 percent of its torque from a standing start. 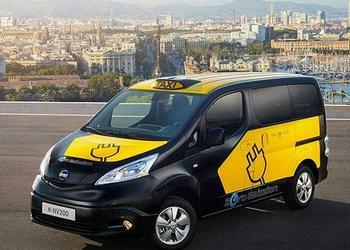 In the partnership agreement, Nissan commits to developing a specific taxi version and supporting the City of Barcelona with the deployment of a charging infrastructure. Nissan will contribute to installation of the necessary charging infrastructure for the city by providing CHAdeMO quick chargers. The Nissan-designed chargers can recharge any compatible electric vehicle from zero to 80 percent battery in just 30 minutes. Barcelona City Hall and the Metropolitan Area of Barcelona will install these quick chargers across the city to create a network for taxi drivers and others to quickly recharge. These quick chargers are part of the over 1,200 scheduled to be installed across Europe by March 2014. 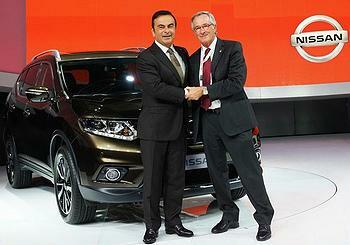 Nissan and the City of Barcelona also aim to encourage electric vehicle use in goods delivery. Under the agreement, the City Council will provide specific places for loading and unloading goods, enable electric vehicle charging points, and promote specific identification for electric vehicles. The City Council also will consider the creation of goods delivery zones for the exclusive use of zero-emission vehicles. The city also plans to reduce business taxes on companies with fleets of electric vehicles. Nissan expects incentives to encourage the use of electric delivery vehicles to appear in many other cities; several are considering restricting access to central locations to zero-emission vehicles.